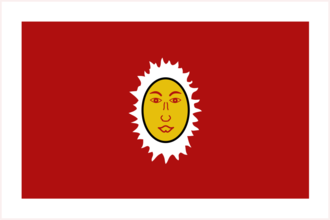 Pegu is a country in Burma. In 1444, it borders Arakan and Taungu to the North, Ayutthaya to the South, and Lan Na and Sukhothai to the East. Pegu starts in a unique position where most of the provinces of its culture group are separated from Pegu by Ayutthaya, a much larger country. The starting religion of Theravada Buddhism will also slow expansion throughout the game due to increased aggressive expansion against Hindu and Islamic countries nearby. One strategy to avoid these issues is to switch Pegu's primary culture to a culture group that is more readily conquerable and switch religions to either Sunni or Hindu. That said being on the border of several religions makes it easier to balance aggressive expansion against all neighbors. Pegu is well positioned to leverage its location between India and SE Asia to accumulate sailors and reach its unique achievement. Stay a Chinese tributary and consolidate your position before expanding into Malacca and Sumatra. This will fund the building of the docks in every available province to increase sailors. Exploration as a first idea allows island hopping to Japan (via the Kurils) and the Philippines. Economic is a good second, allowing a policy that increases sailors 25%. Maritime should only be taken at the next opportunity to push sailor production even higher. With high production modifiers in place, the game is just a matter of coastal expansion and building docks until the achievement is complete. This page was last edited on 22 December 2018, at 14:04.